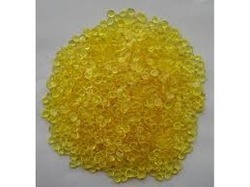 Providing you the best range of non reactive polyamide resin sonamide 9130, ketonic resin srk-100 & srk-1000 and polyketone srk-500h(1717h) with effective & timely delivery. sonamide 9130 is a polymeric fatty acid based solid non-reactive polyamide resin. It is suitable for flexographic and gravure printing inks. 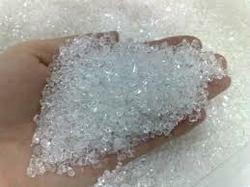 srk 100 star bright granules, light fastness, neutral reaction and resistance to saponification of synthetic resin. srk are great advantages for its use in paper lacquers its solubility in spirit, compatibility with shellac and hardness are useful factors the preparation of polishers, polishing varnishes and lacquers for the surface treatment of wood suitably formulated combination of synthetic resin srk with nitrocellulose containing in addition to phthalate plasticizers, a certain proportion of alkyd resin which are suitable for wood lacquers are distinguished for their high elasticity and resistance to the cold check test synthetic resin srk is also used in printing inks, ball point pen pastes and casting resin. srk 1000 is pearl shaped granular solid, light fastness, neutral reaction and resistance to sanctification of synthetic resin. srk are great advantages for ball points inks. due to its high viscosity, high softening range, quick solubility and excellent thixotrophic properties. also use in paper lacquers, compatibility with shellac and hardness are useful factors the preparation of polishers, polishing varnishes and lacquers for the surface treatment of wood suitably formulated combination of synthetic resin srk with nitrocellulose containing in addition to phthalate plasticizers, a certain proportion of alkyd resin which are suitable for wood lacquers are distinguished for their high elasticity and resistance to the cold check test synthetic resin srk is also used in printing inks resin. srk 500 H is a ketone with higher hydroxyl value. It imparts improved heat resistance & better blocking resistance its high degree of polarity improves adhesion, pigment wetting & gloss. The solvent release is the fastest with srk 500 H.
Looking for Resin Inks & Paint ?